Bumpstart are the biggest Independent nursery shop in Buckinghamshire. Any parent or parent to be will know that shopping for a baby can be a minefield! Thankfully Bumpstart are a one stop shop for all your requirements and you can shop under one roof. They sell and source first-class baby equipment from brands such as iCandy and BeSafe at great prices with excellent customer service. Their customers are encouraged to come in to the store, look, touch, ask questions, receive expert advice, try things out and then make an informed decision about what to buy. They even go as far as to personally ensure your new pram or car seat fit in your car there and then! Unlike other retailers or online shopping this approach offers customer reassurance and knowledge your making an informed decision as you embark on parenthood! Bumpstart is situated in a quirky converted tractor shed on a working family farm just outside Whaddon (between the village and the A421 roundabout). They are 10 minutes drive from Central Milton Keynes and Buckingham, and about 15 minutes drive from junctions 13 and 14 off the M1. They have recently been crowned the winner of the Best Independent Nursery Retailer in the Progressive Preschool Awards. I needed a car seat that was safe and reliable and would work with my new 2018 iCandy Peach. Bumpstart recommended the Besafe iZi Modular whose innovative egg shape, strong simple and light design combined with it’s assured safety met all my requirements. It consists of one ISOfix compatible base and two child seats which conform to the new EU standard R-129 (i-Size). When the child grows out of the baby seat, the next seat is used on the same base. The base module can be extended to allow more legroom for the child, which means children up to the age of about four years (105 cm tall) can travel rear-facing. At BeSafe the child’s safety is their main focus. When developing a new child safety seat, the seat is crash tested approximately 10,000 times, both digitally, virtually and in crash-test labs, all to ensure that the seat will protect the child as intended in real life situations. The BeSafe iZi Go Modular i-Size can easily be installed on the iZi Modular i-Size base. Just click the seat onto the base and you are ready to go. The BeSafe iZi Go Modular can also be installed with the three point car belt. The uniqe combination of EPS and foam in the seatshell together with soft padding, makes BeSafe iZi Go a very comfortable babyseat for your child. BeSafe iZi Go Modular protects your baby. The improved side impact performance, exceeds the severe R129 side impact criteria. With the padding in the head area used for the first months, improved Side Impact Protection (SIP+) and the baby cushions the seat truly offers superior safety for your baby.The seat is luxuriously padded and equipped inside for baby, and is easy to lift into and out of the car and onto the chassis of a pram/pushchair. Compared to other brands it really is very light to use which is important as your baby gets heavier! 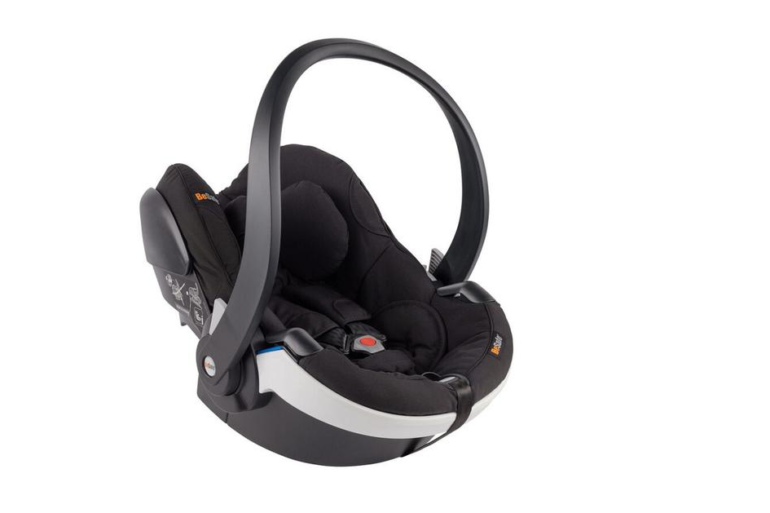 Available at Bumpstart for £349.98. Compatible with other pushchair models such as the Uppababy Vista, Bugaboo Cameleon, Joolz Day and many more (see www.besafe.eu for full details).